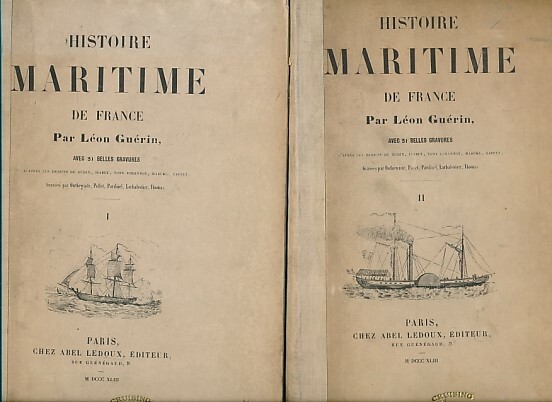 Barter Books : Guerin, Leon : Histoire Maritime de France. Two Volume Set. 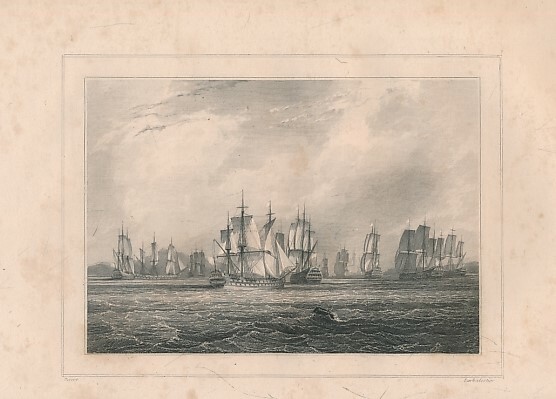 250 x 170 mm (10 x 7 inches) - xix, 582pp; xii, 704pp + plates. G : in Good condition without dust jacket. Ex Cruising Association Library. Covers rubbed and darkened. Inner hinges cracked but binding intact. Some foxing throughout.